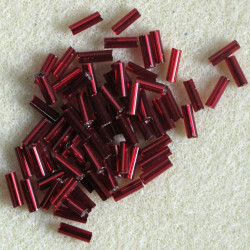 Czech Glass Bugle Beads There is 1 product. Czech Glass, Silver Lined, Ruby Red Beads﻿, Approx. 20g per Pack.